. DBN V.2.4-3:2010. (2010). Hydrotechnical building. Basic statements. Kyiv: Minregionbud Ukraine.
. Kendzera, A., Iegupov, K., Semenova, Y., Iegupov, S. & Lisovyi Y. (2018). Use of seismological information for the design of multistory buildings. 16th European conference on earthquake engineering (Thessaloniki).
. Nemchynov, Ju. (2008). Seismic buildings and structures. Kyiv.
. Nemchynov, Ju., Maryenko, N.G., Khavkin, A.K. & Babik, K.N. (2012). Design of structures with a given level of seismic resistance. Kyiv.
. Patinski, V. (2012). Status port hydraulic structures of Ukraine. 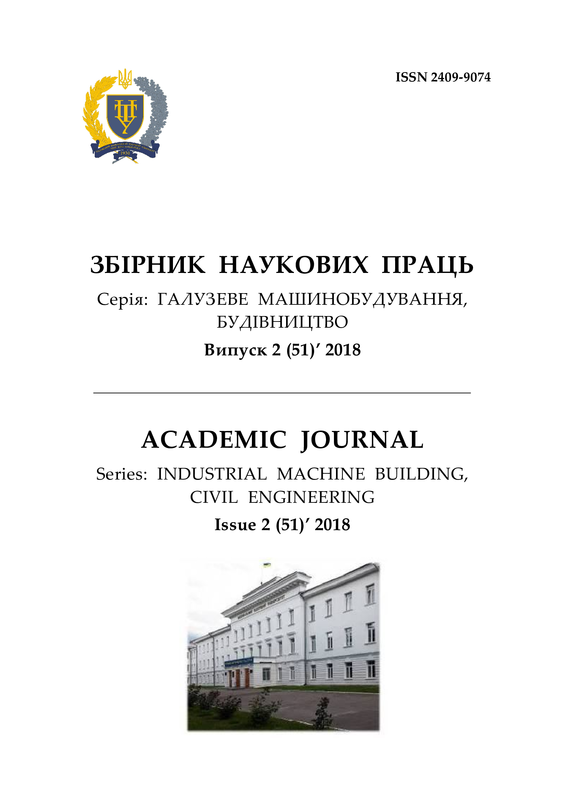 Ports of Ukraine Journal, 05(117), 5-9.
. Nemchinov, Y., Havkіn, D., Marenkov, M., Dunіn, V., Babіk, K., Yegupov, K., Kendzera, A., Yegupov, V. (2013). Practical aspects of the dynamics of buildings. Scientific and production magazine Building Ukraine, 6, 6-21.
. Borg, R.C. (2007) Seismic performance, analysis and design of wharf structures: a comparison of worldwide typologies / A Dissertation Submitted in Partial Fulfilment of the Requirements for the Master Degree in Earthquake Engineering.
. Seismic Design Guidelines for Port Structures. (2001). International Navigation Association. Tokyo: Balkema Publishers. Iegupov Konstantin Безпека і розвиток морських транспортно-технологічних систем / Konstantin Iegupov, Sergey Rudenko, Oleksiy Nemchuk // ACADEMIC JOURNAL Series: Industrial Machine Building, Civil Engineering. – Полтава: ПНТУ, 2018. – Т. 2 (51). – С. 45-49. – doi:https://doi.org/10.26906/znp.2018.51.1291.